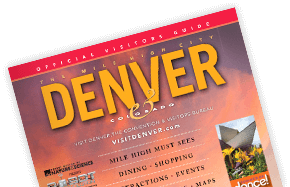 Located in heart of Downtown Denver, one of the most walkable and visitor-friendly downtowns in the country, and within walking distance of 11,000 hotel rooms, the Colorado Convention Center is ideal for any size meeting or convention group. Learn About the Colorado Convention Center Expansion! The Convention & Visitors Bureau has the services to assist with all your planning needs for this amazing conference center!